Dr. Charles Zhang is a graduate of the University of Western Ontario's Faculty of Dentistry. Prior to coming to Canada, he completed a five year residence in anaesthesiology in China. His Master of Science degree in pharmacology was completed at the University of Western Ontario. Dr. Zhang has published 11 research articles (Click here to see a list of articles he published) and was the recipient of several awards (Click here to see list of awards). 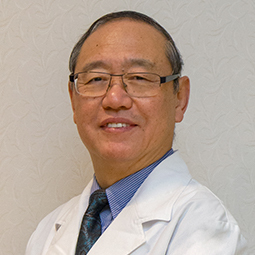 After starting to practice dentistry in the Niagara area in 1996, Dr. Zhang moved to Waterloo where he has been serving this community since the year 2000. Dr. Zhang believes in prevention in clinical dentistry, emphasizing regular dental visits to maintain oral health and to find problems at an early stage. Dr. Zhang loves all aspects of dentistry and continuously updates his knowledge and skills to serve his patients better. He is a certified provider of Invisalign, which is a system that uses clear removable aligners to straighten teeth without braces. He has also mastered the technique of Lumineers, which are non-invasive porcelain veneers to improve the aesthetics of discoloured or crooked teeth. The complete procedure for implant treatment is also provided in his practice. Dr. Charles Zhang strives to become a gentle, friendly, understanding and caring dentist. He will listen to your concerns and do his best to treat your dental problems. During his spare time, Dr. Zhang enjoys reading books, watching operas, and playing a Chinese musical instrument called the Guzheng. (Click here to see his favourite Guzheng songs).